Winning papers will be published and selected authors will be invited to present their work in a policy workshop at the Wilson Center in Washington, DC. The grand prize winner will also receive a $1,000 award. Papers should be policy-based and solutions-oriented and should critically examine existing projects and/or propose new strategies for tackling issues related to urban poverty. Metropolitan Approaches for the Urban Poor. Explore how cities can work across jurisdictional boundaries to improve urban management and services. Making Smart Cities Inclusive. Focus on the relevance and applications of technologies and “smart city” approaches that foster inclusion and empower the urban poor. Innovation in Urban Water and Sanitation. Address new approaches to improve access, affordability, and sustainability of water and sanitation in cities, focusing on innovative and locally driven approaches that can be replicated and scaled up. Cities Through a Gender Lens. Explore the challenges and opportunities facing women in the urban environment. For detailed competition guidelines and further information on the sub-topics, please see the full call for papers on WilsonCenter.org. The deadline for the submission of abstracts (500 word maximum) is May 15, 2015. 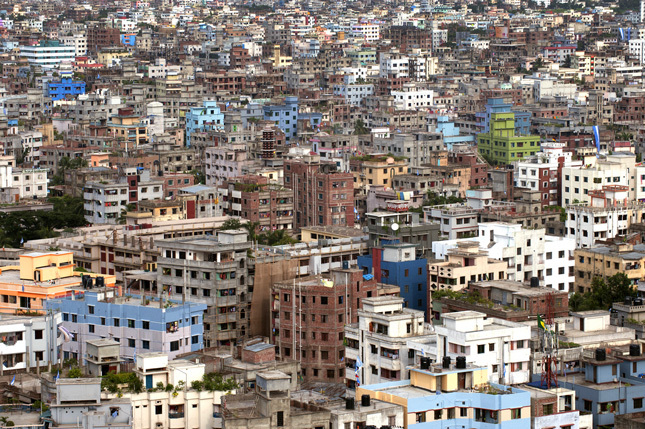 Photo Credit: Dhaka, Bangladesh, courtesy of Kibae Park/UN Photo.